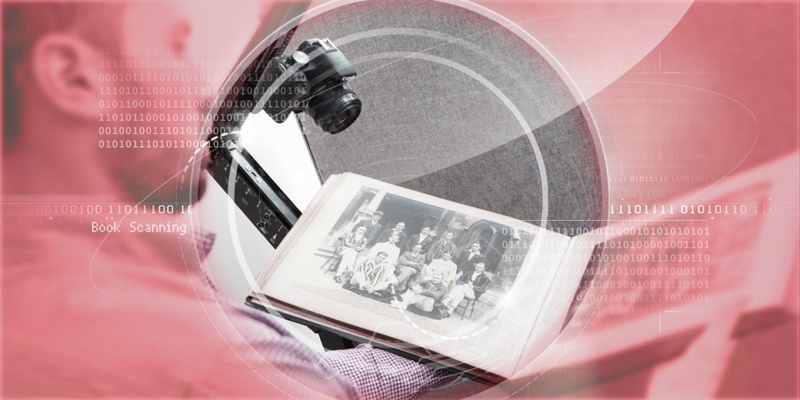 With precious or fragile books, rather than using a conventional flat-bed scanner that could subject the aged materials to stress and unnecessary physical contact, it is preferable to use a planetary scanner. This better safeguards the book’s integrity. A planetary scanner is a device specially constructed for the purpose of making scans of rare books and other easily damaged documents. In essence, the scanner comprises a cradle upon which the book is carefully laid partially open (so as not to stress the spine), and a precisely mounted camera overhead that takes pictures of the pages. Our specialist planetary book scanners (which are sometimes also referred to as orbital or overhead scanners) can be used to scan all kinds of books, and can facilitate many different sizes, thicknesses and types of bindings. It is especially sympathetic to battered old volumes, or rare and priceless books.